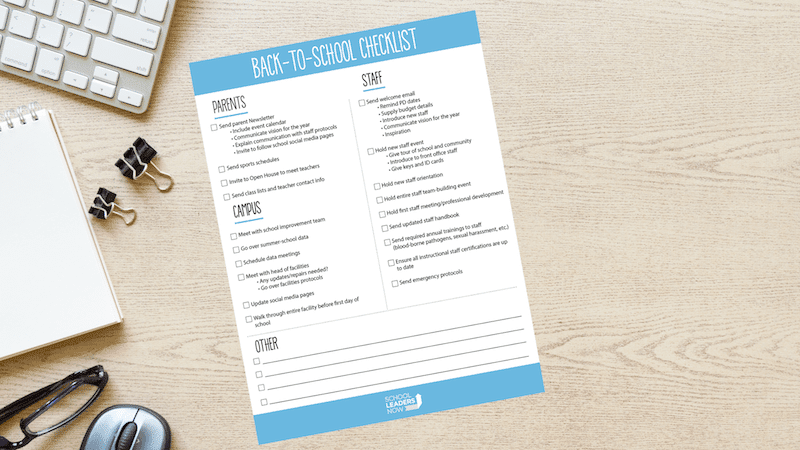 A free printable checklist to help you get the school year started off right. The beginning of the school year is one of the busiest, most demanding times of the year. It can be so busy that certain things can easily slip through the cracks. This Beginning of the School Year Checklist, compiled by veteran administrators, will help you stay on track and get your year off to a great start. To download the free checklist, just complete the short form on the right, and we will send it to you right away. Yes! Please send me news and offers from School Leaders Now.